Killian Barnes, a student at Starr-Iva Middle School, will be attending the Deshaun Watson Football Camp at Clemson University on May 18. Killian is an amazing young man and always draws a smile from students and teachers at Starr-Iva. 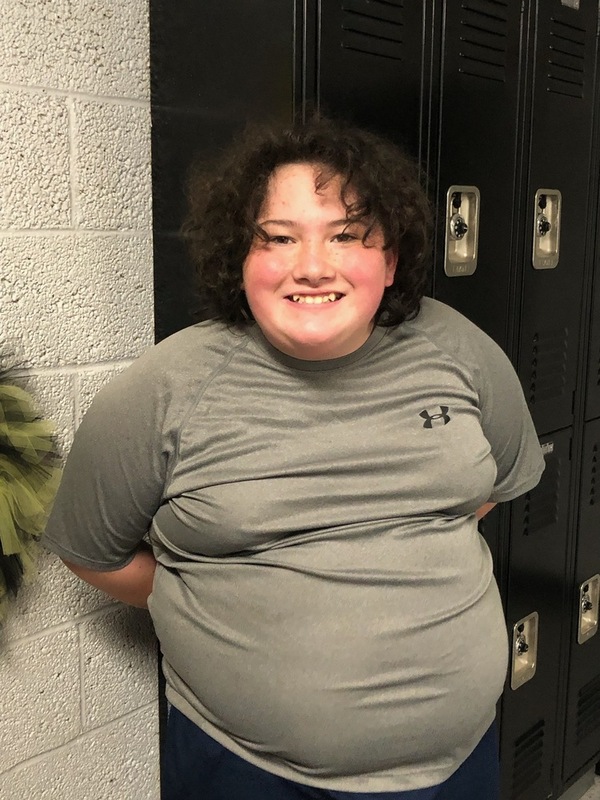 Killian is also active outside of school and participates in swimming, bowling, basketball through the Area 14 Special Olympics. masters bowling (ages 21 and up), 20 and under bowling, basketball, masters bocce, 20 and under bocce, cheer, swimming, power lifting, equestrian, track and field, volleyball, and young athletes (ages 2-7). To get involved please email Area14@so-sc.org or call the office at 864-260-4142. Through successful experiences in sports, children and adults with physical and intellectual challenges gain confidence and build a positive self-image which carries over into the classroom, work place, and community. We are hopeful that Killian will gain confidence through his experience at the Deshaun Watson Football Camp and know that he will spread joy while he is there as well. Congratulations, Killian!